More treatment options for opioid and other substance addictions are opening up in Monroe County. But as WXXI's Brett Dahlberg reports, medical officials are concerned that people don't know what's available. Even as the number of treatment options for opioid and other substance addictions has increased in Monroe County in recent months, medical officials are concerned that the people who need those treatments don’t know what’s available. Local news reports have often cited the same figure: a total of 25 inpatient detox beds in all of Monroe County. Dr. Michael Mendoza, the county’s public health commissioner, said that number is technically correct, but it’s also misleading. “There are 25 medically licensed detox beds. That is true. But the implication is that there are only 25 places for people to get help, and that’s not true. That’s incorrect,” Mendoza said. Patient interview rooms await patients at the mental health urgent care center that Rochester Regional Health opened at its St. Mary's campus last week. He and other mental health professionals said focusing on that number is dangerous, because it can discourage people from seeking treatment that is available. Leaders at Rochester Regional Health and the University of Rochester Medical Center say they have slots open for opioid addiction treatment just about every day. More opened up last week at Rochester Regional’s St. Mary’s campus. On a recent Tuesday, Mark Winsberg, Rochester Regional’s director of chemical dependency services, showed WXXI News that day’s patient census for his organization’s addiction treatment facilities. There were 21 openings. The anticipated count for the next day showed 12 open slots. 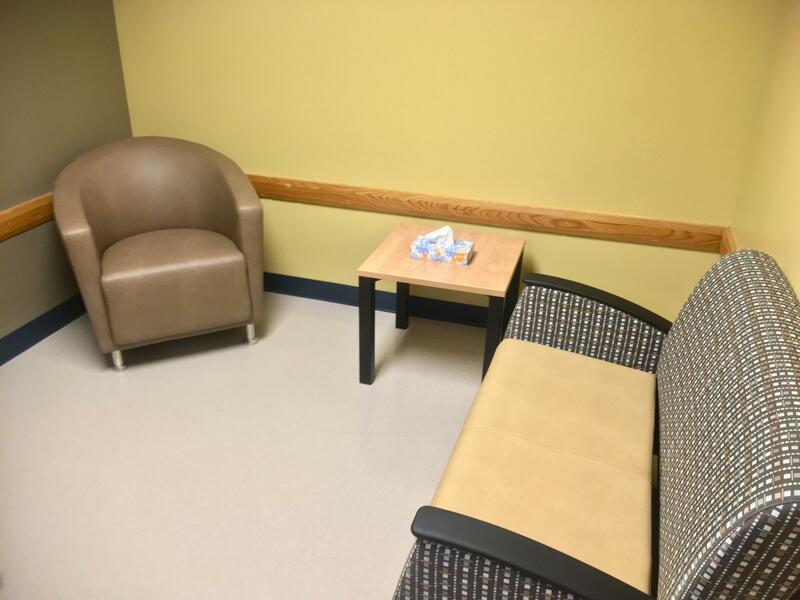 Those open slots are typically for outpatient treatment, and they don’t always include medically supervised detox in a clinic, which is what the 25 inpatient beds provide. But Mendoza and other physicians who treat addiction said that’s okay: Not everyone needs inpatient detox, and for some people it can actually be harmful, because it removes them from their communities. “Taking somebody out of the home means that you’ve got to transition them back into the home. With every transition comes stress that might potentially trigger them to use again,” Mendoza said. 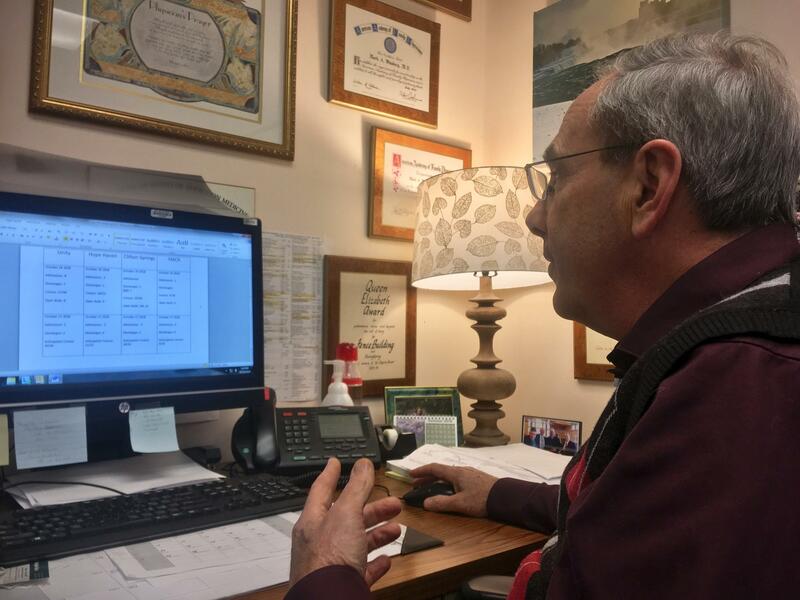 Mark Winsberg looks over patient census numbers in his office at Unity Chemical Dependency in Rochester. Winsberg, Mendoza and other doctors said the first step for people who want to enter an addiction treatment program is to get an evaluation. Those are available at clinics across the county, and their results are used by health care providers and insurance companies to determine whether a person should be routed to inpatient or outpatient treatment. The evaluation is comprehensive, Mendoza said, taking into account “how much and in what quantity and strength and frequency” a patient has been using drugs. Advocates for people with addiction said the county’s growing resources for opioid treatment are encouraging, but they also pointed to the continued shortage of inpatient detox beds as an explanation for the county’s failure to control the rising death toll of opioid overdoses. Baker said she routinely has to look outside Monroe County to find an open bed for a person who lives in the county. In August, David Attridge, who runs Gates to Recovery, said on any given day there was a waiting list of 80 to 300 people trying to get into the 25 detox beds in Monroe County. Attridge said in the previous two weeks he and Gates police chief Jim VanBrederode had driven three people to Erie County to get them placed in detox beds there. Mendoza said there's no need for that. Fifteen new detox beds are coming to Monroe County, where advocates and families have long been calling for additional addiction treatment facilities. The additional beds, funded by a $1 million state grant, will not quite double the 25 currently available in the county. The new beds will be administered by Helio Health, which changed its name from Syracuse Behavioral Healthcare in June. In this special edition of Connections, we address the opioid epidemic in New York State. The conversation took place in front of a live studio audience at the WXXI studios. You can watch video of the broadcast here.